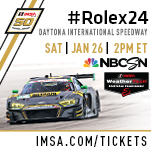 NBC Sports’ inaugural broadcast of the IMSA WeatherTech SportsCar Championship begins later today with live coverage of qualifying for the 57th running of the Rolex 24 At Daytona on NBCSN and the NBC Sports App. 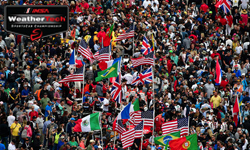 The International Motor Sports Association will deliver its flagship IMSA WeatherTech SportsCar Championship to audiences all over the world through international distribution plans. 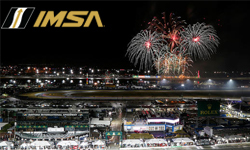 What will be an unforgettable 50th Anniversary season for IMSA gets under way this weekend at Daytona International Speedway with one of the most respected groups of manufacturers in motorsport comprised, of 19 manufacturers eligible to participate. After losing his legs in a crash in 2001, Italian race car driver Alex Zanardi hasn�t let anything get in his way. 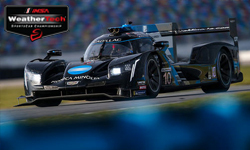 His next goal is the 2019 Rolex 24 At Daytona on Saturday, Jan. 26 in the IMSA WeatherTech SportsCar Championship with BMW Team RLL. 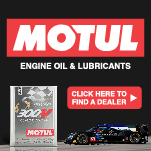 You’ve got previous Rolex 24 winners. 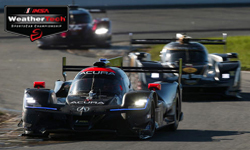 You’ve got previous IMSA WeatherTech SportsCar Championship champions. You’ve got a two-time Formula 1 World Champion. You’ve got Indianapolis 500 winners. You’ve got 24 Hours of Le Mans winners. 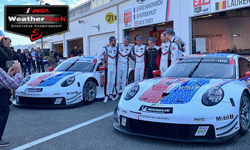 Porsche Motorsport will continue to celebrate its longstanding motorsport history with a fourth “retro-livery” adorning the pair of current factory-run 911 RSR race cars. Wayne Taylor Racing’s all-star driver lineup stopped by the Daytona International Speedway media center three weeks ago for a highly anticipated interview session ready to reinforce to reporters at the Roar Before the Rolex 24 the high expectations they carry into this weekend’s Rolex 24 At Daytona race. 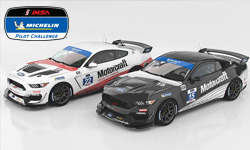 Multimatic Motorsports’ two Mustang GT4 entries in the IMSA Michelin Pilot Challenge series event at Daytona International Speedway on Jan. 25 will run Motorcraft “historic’ paint schemes to honor the Roush Racing IMSA Mustang GTO entries of the mid-1980s. 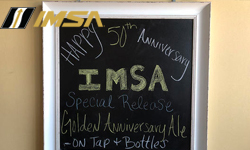 As part of IMSA’s 50th Anniversary Celebration and leading up to its prestigious season-opening race � the Rolex 24 At Daytona on Jan. 26-27 � IMSA in conjunction with the Daytona Beach Brewing Company fashioned up a Golden Ale to commemorate the sanctioning body’s Golden Anniversary in 2019. 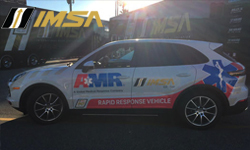 By becoming IMSA’s newest partner, GMR expands its history of delivering EMS services to motorsports sanctioning bodies, which also includes NASCAR and IndyCar. 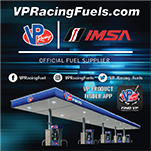 IMSA has partnered with RACER Magazine to offer our readers a special discount subscription rate. 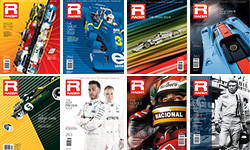 From now until the end of the Rolex 24 at Daytona, you can subscribe to RACER for just $24. That’s less than half the regular price.